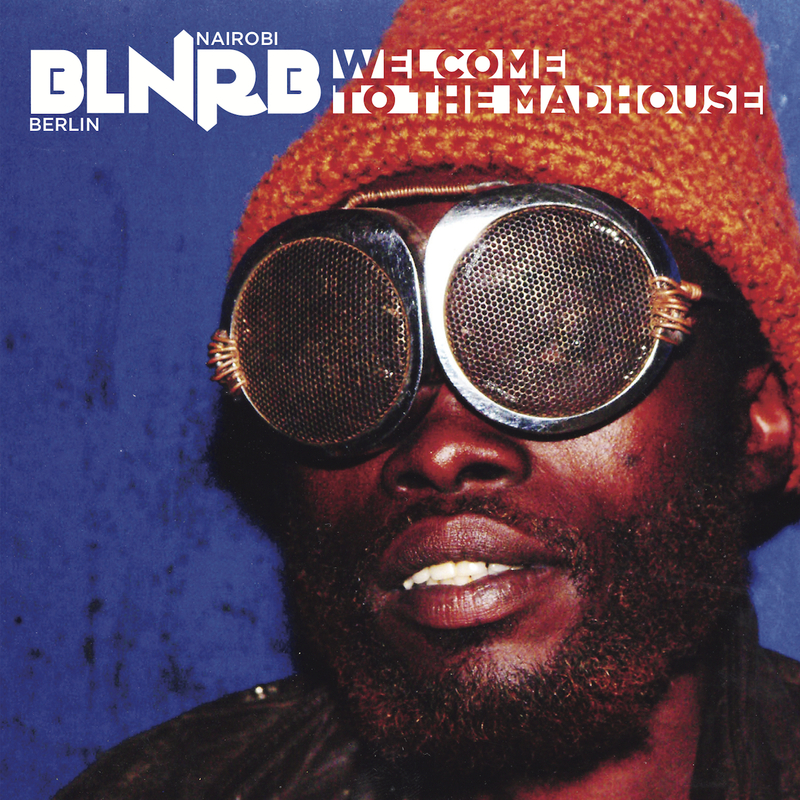 Powered by Goethe-Institut / Nairobi, BLNRB is an amazing project in which artists from Berlin mingle their artistic fluids with Kenyan producers, MC's and bands. The final effect of their joint efforts and many jam sessions over the span of two years, now to be released in the form of 18-track compilation "BLNRB - Welcome to the Madhouse" is really, really inspiring, eclectic and top-quality in terms of production. This type of collaborations I would like to hear and see more in Contemporary World Music!!! Jahcoozi, Modeselektor, Gebrüder Teichmann, Mister Abbas, Kimya and Lon´Jon or the first lady of Kenyan rap, Nazizi, electropop band Just A Band and blind singer/guitarist Michel Ongaru plus six members of the HipHop collective Ukoo Flan, offer a real treat of fantastic electronic beatz by top producers from Berlin Bass Maffia and one-of-the-kind African riddims. I only wish there were more collaborations featuring Modeselektor as my personal highlight and definitely the best 'riddim' I heard this year is Monkeyflip featuring Modeselektor, Nazizi and Abbas. What a BEAST!! The same two emcees plus Jahcoozi are featured on the second best track on this compilation, i.e. title Madhouse. Check the entire package, it's super tasty, uplifting and constitute the great soundtrack for your home or office listening as well as outdoor activities :) I can only imagine the madhouse this little funky group creates when live on stage. I wish I was there. Highly recommended by Doktor Krank. Listen to the special BLNRB mix by DalaDala.